← What are you reading that’s changing your life…? My Grandpa died today he was 85. I want to pay tribute to one of the most amazing men I have ever known. 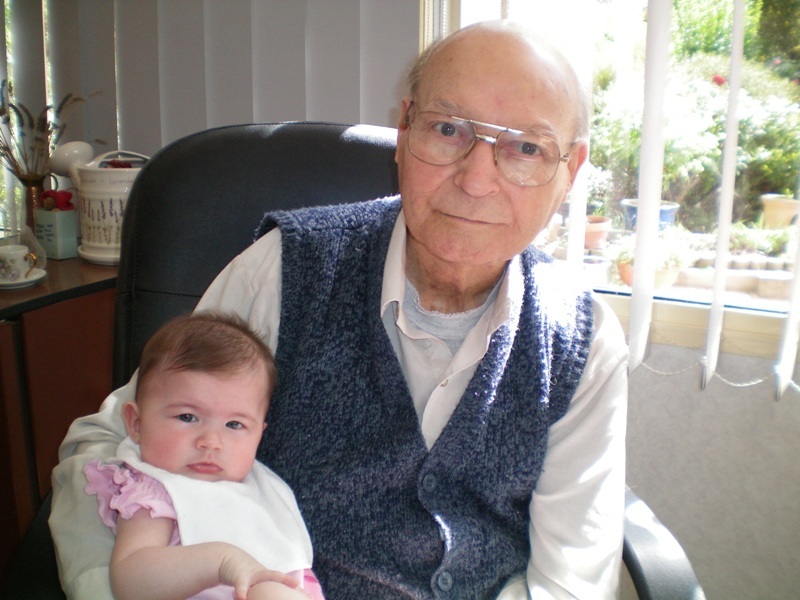 My Grandpa was a quiet, humble man who was always kind, compassionate and gentle. He always saw the good in people and I don’t ever remember him getting angry. He came to live with us when I was just 3 months old, so I had the privileged of growing up with my Grandpa around and I couldn’t list all the things I have learnt from him. In a lot of ways he has shaped me into the man I am today. I have so many fond memories of times spent with him. I remember when I was 3 my Grandpa making me a car out of a cardboard box and pushing me round the living room. At 7 he used to make me wooden swords so I could have adventures with pirates and Robin Hood. At 11 he helped me to build my first model plane from balsa wood and then took me to the oval to watch it fly. In High school he helped me understand chemistry, physics and maths. He even gave me money to help pay for my tuition while at Bible College, that’s the kind of man he was. But the thing I am most grateful for is the way my Grandpa helped shape my faith. He was always there to teach me about God, Jesus and the Bible. I remember him reading me bible stories before bed time and answering my questions, no matter how silly or how tough they were. I remember watching him pray earnestly for his family, his friends and those that did not yet know Jesus. He would read God’s Word and share it with me. As I grew older he would challenge me with questions about my faith, teaching me how to understand what I believed. He was proud to have a grandson that was a pastor, who was serving God with his life and seeking to share Jesus with those who had yet to meet Him. And as I write this with tears streaming down my face, I am determined that my life will be one that follows his example. 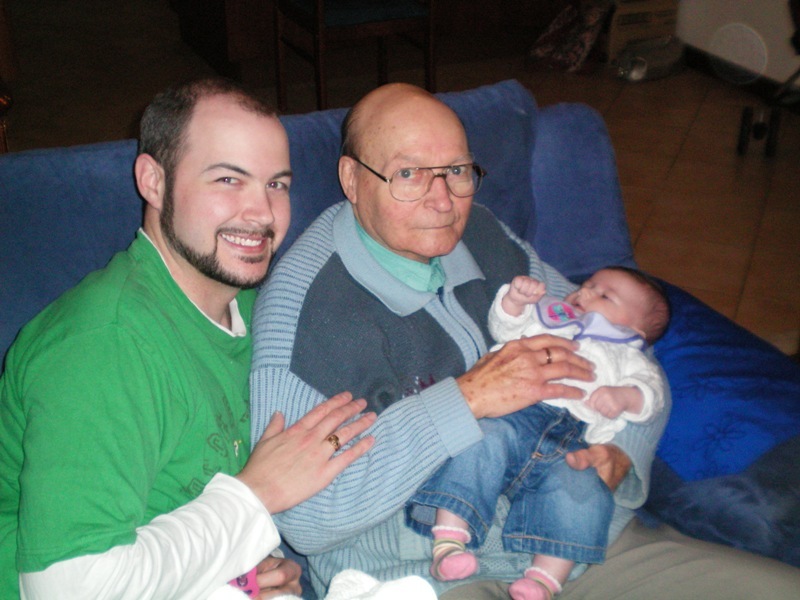 I want to be known as a man of God, just like he was, my faithful, loving and amazing Grandpa. It is most appropriate to have one day in a year designated for the expression of gratefulness. We do not have one here in Malaysia. But I am always in the mood for gratefulness. Hope you don’t mind me joining in. Your presidents were so wise! The world can be less chaotic, it can be a more peaceful place if each one of us has the awareness in him that there are plenty for which he should be thankful for. Gratefulness gives us contentment and peace of mind. These two qualities help reduce our stress level which helps greatly in keeping us healthy. To remind myself of my good fortune, I have drawn up a list for my daily expression of giving thanks. So true, he was always so very involved in our lives. He was always there. this is really beautiful. i dont know what else to say…just really touching. The Purple Pirate Party: Anabelle turns Three! What are you reading that’s changing your life? My Authentic Life · Learning what it means to "live it Real"